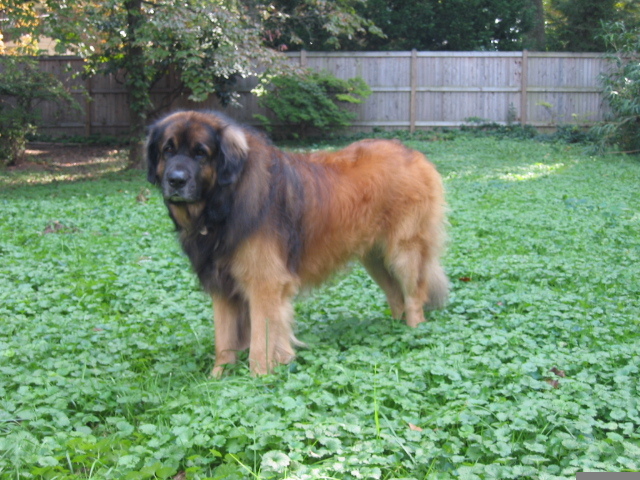 Loki was a big, beautiful male, who exemplified everything a Leonberger should be. He was a gentle giant, playful and warm but quite capable of being imposing when he identified the need to be. Loki was a Therapy dog certified by Therapy Dogs International, an AKC Canine Good Citizen, Temperament Tested, and an accomplished show dog. Loki finished as a Champion in all major venues in the United States and Canada. He was a Champion with the Leonberger Club of America (LCA), the Leonberger parent club, a Champion with the American Rare Breed Association (ARBA), a Rarities American, Canadian, International, and Grand Champion, and is a Canadian Kennel Club (CKC) Champion. 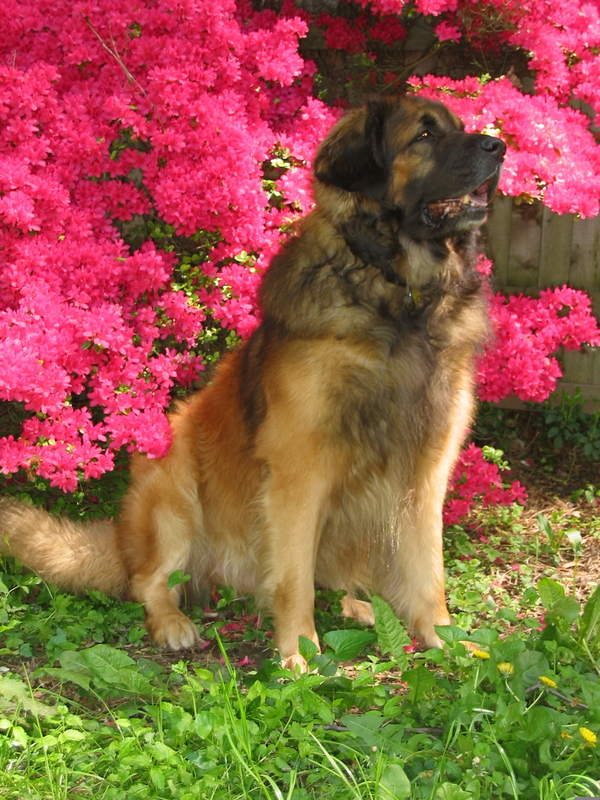 With the Canadian Kennel Club, Loki has been the number one Leonberger in Canada for 2002 and 2003. In 2002, Loki set the record with the Canadian Kennel Club as the most winning Leonberger in history. Obviously Loki enjoyed dog shows and was quite the winner, but more importantly, he was a fantastic companion. Loki loved to lounge around the house, hang out with us when the humans were at home, bat his paw at the swishing tail of the Tigger cat when she is just out of reach, and rest his chin on the dining room table when a tempting morsel is served (any food met his criteria except clementine oranges). We tried to discourage the table stuff but all to no avail! Loki could think of few things better than going for long walks where he drew enormous attention from adults and children. When he ran free in our yard, no squirrel was safe, yet he never got too close to them. 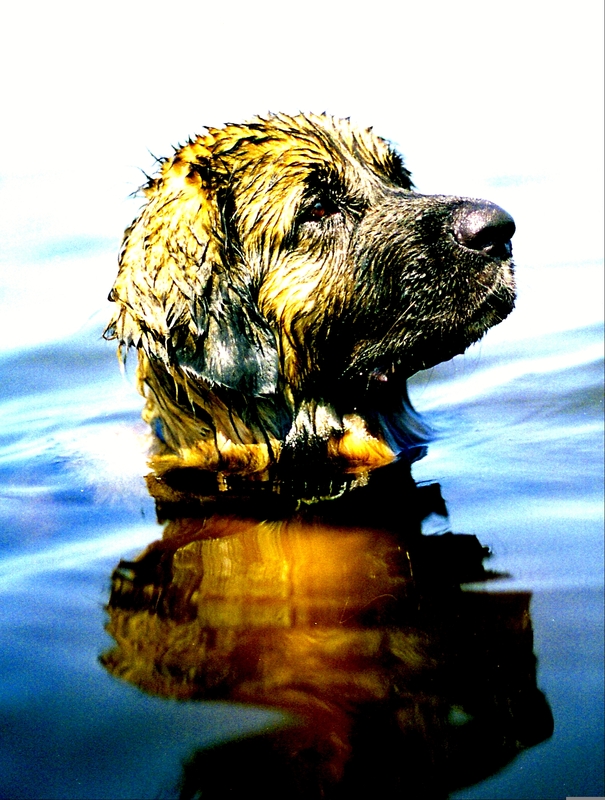 As typical with most Leonbergers, one of Loki’s greatest pleasures in life was water (except baths). Any size pool is a strong temptation for him, be it his water bucket or the wide open Atlantic Ocean. Every summer, we spend several weeks at the beach in North Carolina at the Outer Banks where Loki swam several times a day. He would swim until he could not hold his head up any longer and still want to stay. No matter where Loki was or what Loki was doing, he wanted to do it with his family. He was most content when doing the things he loved, be it showing, lounging with his head in your lap, swimming or doing therapy work, with us. Quite simply, Loki was my (Jennifer) closest companion and one of a kind. His giving and gentle presence was a treasure to be remembered and will always be missed. To see Loki’s pedigree, click here.